Ascension Island is a British Overseas Territory located in the South Atlantic and covers an area of 34 square miles. The island is volcanic and enjoys warm weather all year round. 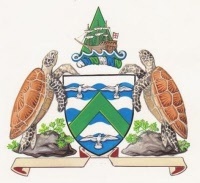 There are five settlements on the island, with Georgetown being the administrative capital and port. The island is home to around 1,100 inhabitants, mostly Saint Helenians but also 200 British and 150 US Citizens.